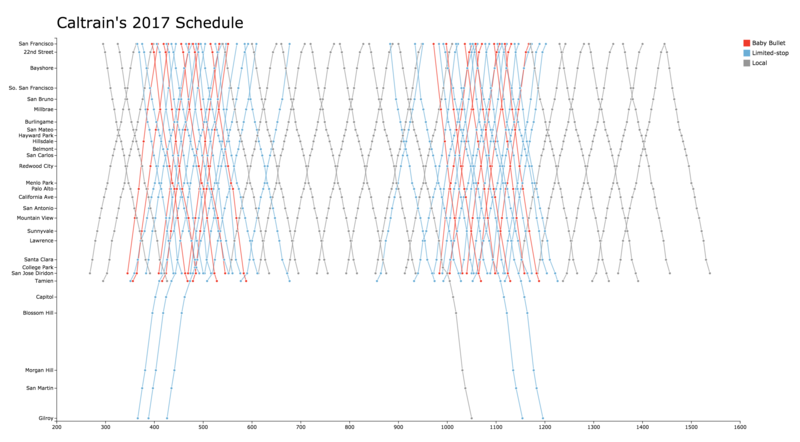 Showing the Caltrain’s timetable in the style of E.J. Marey. Stations are arranged vertically, while time proceeds horizontally. Each line represents a train. Timetable data from Caltrain’s Website; distance information from Wikipedia - List of Caltrain stations; parsed and processed by the authors.